The American Library Association (ALA) and libraries nationwide are reminding parents and educators that September is library card sign-up month. 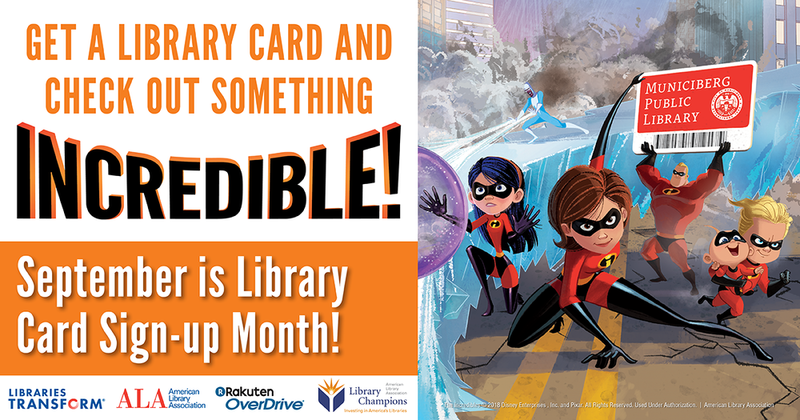 Encourage the children in your life to sign up for a library card! It will open the door to a lifetime of reading and learning!